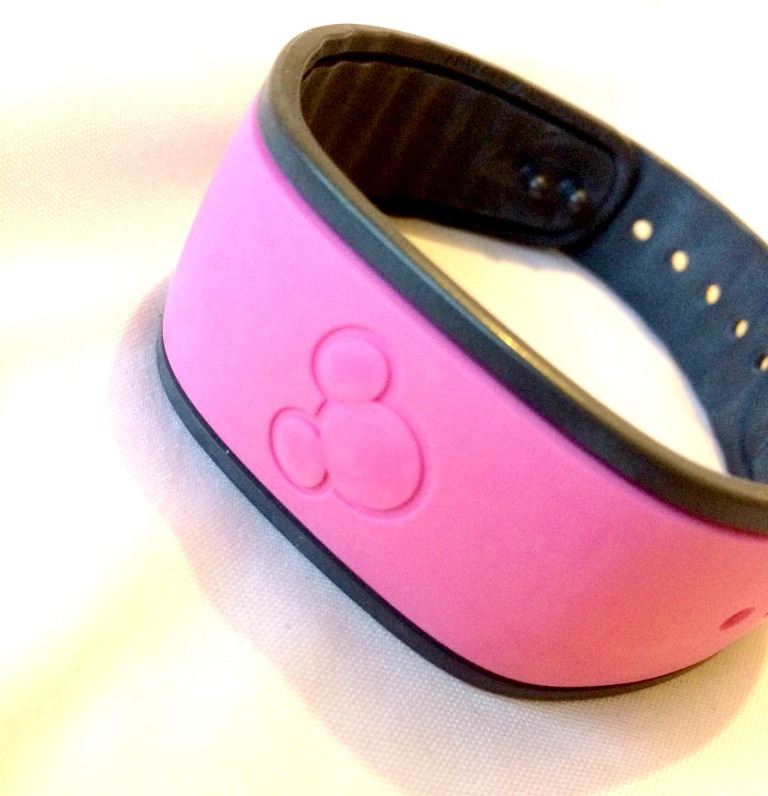 Disney Magic Bands began being used by Disney resort guests in the spring of 2014. They were around before this in 2013 to a select number of guests who were trialling the bands which is part of the Mymagic+ system that incorporates Disney magic bands, the Fastpass+ system, My Disney Experience and Memory Maker. 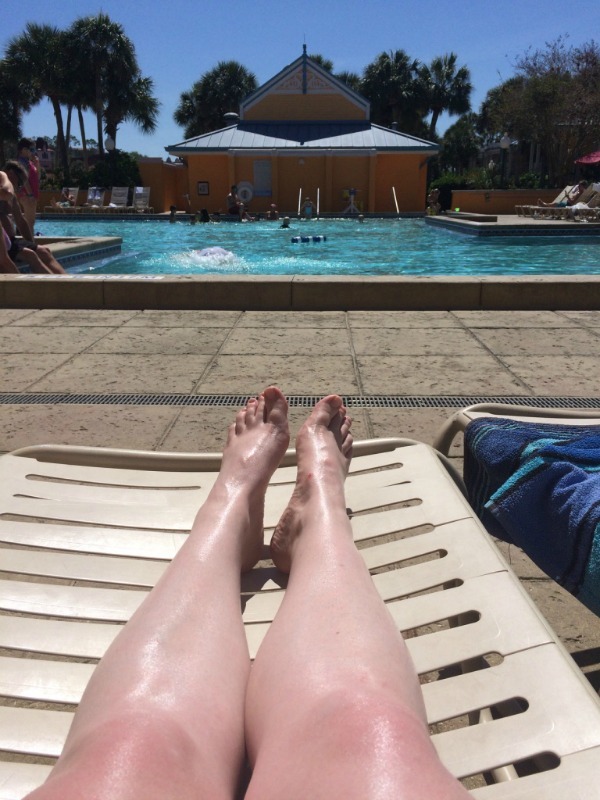 When we stayed at Caribbean Beach Resort in July 2014, we were automatically given our Disney magic bands when we checked into the resort. Before we travelled we were able to customise our magic bands with our preferred name and colour choice via our My Disney Experience account. Currently the magic band colours are choices of pink, grey, blue, orange, red, yellow, green or purple. 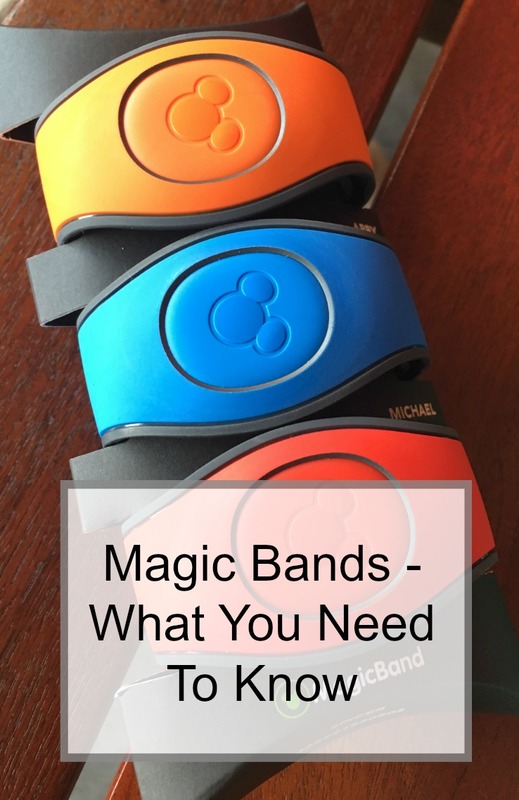 As 2014 was our first visit to Disney World, we didn’t have anything to compare wearing Disney magic bands to as opposed to not having them so it was good to see how the system worked and if it would make our trip as simple and easy as it promised. A couple of years later a new design as shown above, the Disney magic band 2.0 was introduced. This has introduced new ways of wearing if you you don’t want to use the wristband. We put our magic bands on when we arrived at the resort and didn’t really take them off until it was time to go home at the end of our trip. Sometimes I took mine off at night to let my skin breathe but often I forgot I was wearing it and it stayed on through the parks, shower, swimming etc. The one time I remember taking it off at night, I forgot to put it on first thing in the morning and walked to the restaurant to get breakfast and realised I didn’t have it on so I couldn’t buy anything. Magic Bands sizes appear to be one size at first glance, however they have plenty of holes to fit all sizes of wrists and feel very secure once on. They can also be made smaller by removing the outer casing to fit children easier. It’s a simple process to peel the outer layer away. Are Disney Magic Bands Free? Disney Magic Bands are part of the MyMagic+ system which is included in all Disney resort stay holidays. The Disney magic band colours as mentioned above are free but you can purchase additional charms, colours and skins in shops around Disney. Whilst these look really nice, I’m not sure living in the UK I would purchase one unless I knew I was travelling frequently to Disney. If you live in the UK then your Disney magic bands will be given to you when you check into your resort. If you live in the US however I believe they are shipped to your home near to your trip date. 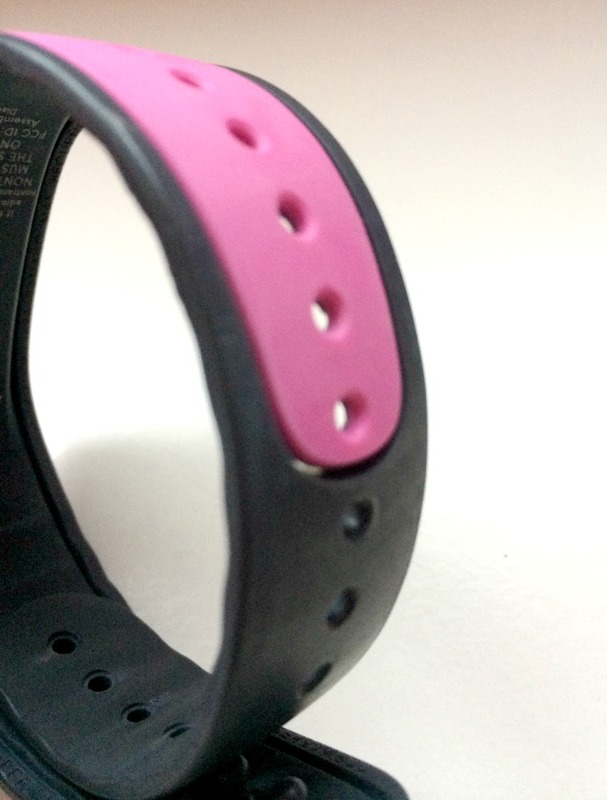 Can Disney World Magic Bands Be Reused? Disney World Magic Bands have a life span of around two years on the battery. If you’re visiting often and staying offsite then they can certainly be reused and it’s a good idea to do so. Your Disney magic band also works as your Disney World resort room key, it has the option to hold your credit card information (not applicable for under 18’s) removing the need to carry money around with you. This works by attaching your credit card to your magic band on arrival and setting up a four digit pin which is needed when you make purchases. Your bands also hold your fastpass+ information and they also have your park tickets information on. When entering the parks, you will need to use your band (and fingerprint) to gain entry. 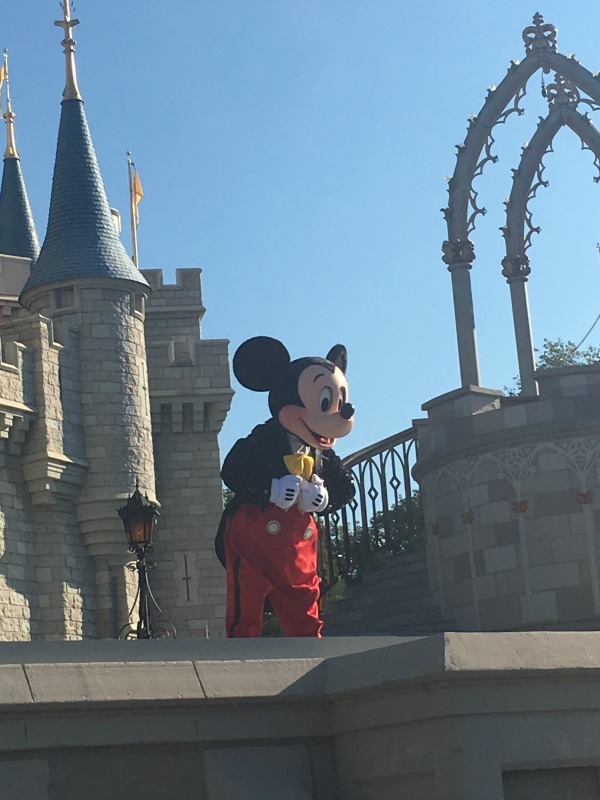 You will hear the saying “Mickey to Mickey” quite often when using your Disney magic band to access the parks, fastpass queue lines and paying for food and drinks. If you have purchased Memory Maker, then your band will be used by the photographers to sync your photos to your My Disney Experience account. Our first experience of using Disney Magic Bands was a very positive one. Only once did we attempt to buy food in a quick service restaurant at Hollywood Studios and their readers were down. We weren’t carrying cash with us so had to find another place to eat, but one experience out of twelve days wasn’t bad at all.